Our work relies on grassroots donations from people like you. Please consider giving a donation to our organization to help us continue the fight for housing justice in Atlanta or become a sustaining member of housing justice league's work. We appreciate any support that we get. 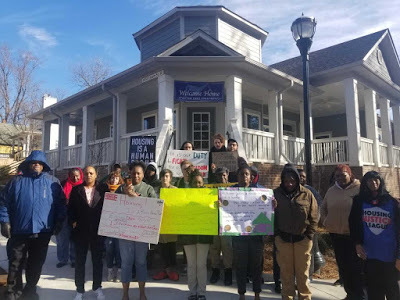 Submit a one-time donation to help us continue to develop campaigns that fight to keep families and long-time residents in their communities and prevent them from being displaced by commercial development in Atlanta.